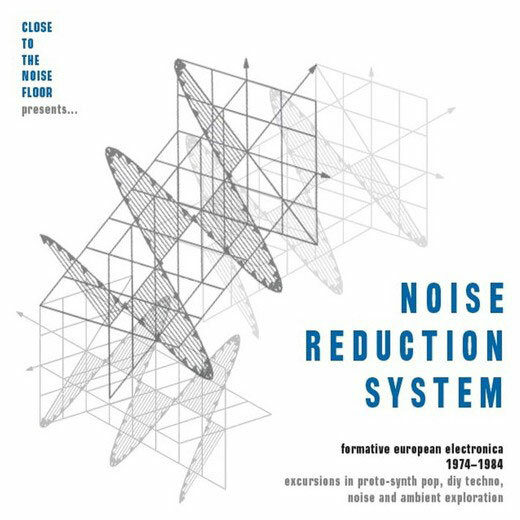 This is the follow-up to last year’s astonishing Close to the Noise Floor compilation which gathered up UK ‘formative electronica’ from the same era. I’m a bit suspicious of the term to be honest, especially as the work looks back to hippy synthesizer music as much as forward to what we usually think of as electronica, but it’s a fantastic musical set whatever it’s labelled as. What it does do is mix bands like Cluster, D.A.F., Yello and Klaus Schulze, probably known to most of us, with a huge selection of music from the home-taping and indie movement that was prevalent at the time. Here are crash-and-bang percussion outings, recordings of primitive synths and children’s toys, analogue recordings – this is pre-sampler remember – rumbling and squealing in the mix, grim Eastern Europe soundtracks and joyous pre-techno upbeat excursions. The anthology is quite good at skirting the industrial tape labels, with their pre-apocalyptic noise recordings of hoovers, plodding basslines and doomy vocals (I know, I recorded some); it likewise skirts the sexually perverse, necrophiliac and right-wing obsessions of some of the dodgier noise-merchants; and is dismissive (in the extensive and informative booklet) of the mainstream synthesizer pop from the likes of Thomas Dolby or The Thompson Twins. What it does offer is a kaleidoscopic free for all, underpinned by an inquisitive and experimental, often Dadaesque, approach to sound, using the (often basic) instruments to hand in home studios or direct onto 4-track recording consoles. The late 70s and early 80s were great times for music. Punk & post-punk really had cleared a way for musicians to make their own music, even if punk itself was of little interest. But tapes and records, whether singles, EPs or albums (or even flexidiscs! ), were a source of excitement in the sercet corners of indie record shops like Rough Trade, or when they arrived through the mail. There was (and is) something about objects as opposed to downloaded MP3s. Tapes often came with hand made booklets and covers, lyric sheets, information, postcards and contact details. Noise Reduction System is evidence of this excitement and exchange, witness to a generation making new music for themselves and each other. It’s good to listen again.